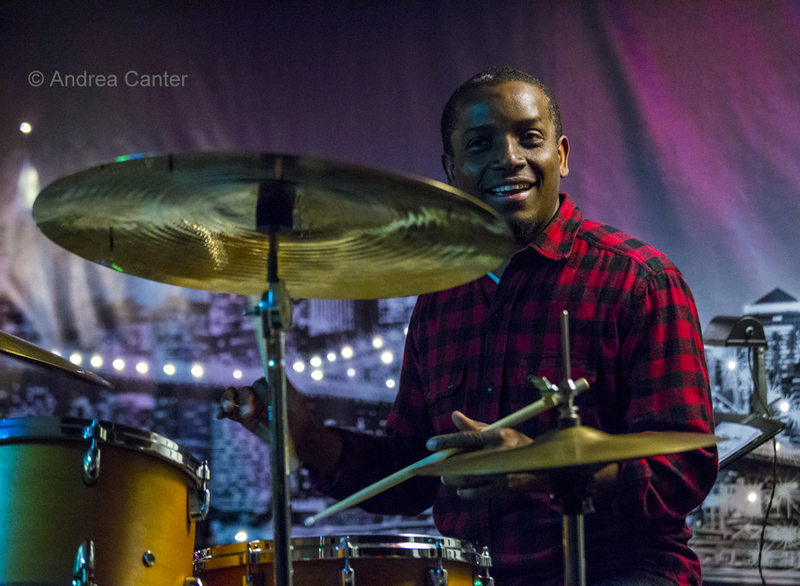 Hang out with drummer Francisco Mela for even a few minutes, and your mood will brighten. You can’t help but smile. Watch him perform for a few minutes, and you will understand the inner joy that music brings to those who live with in 24/7. And, at least for the duration of that drum solo, that conversation, you will be transformed. 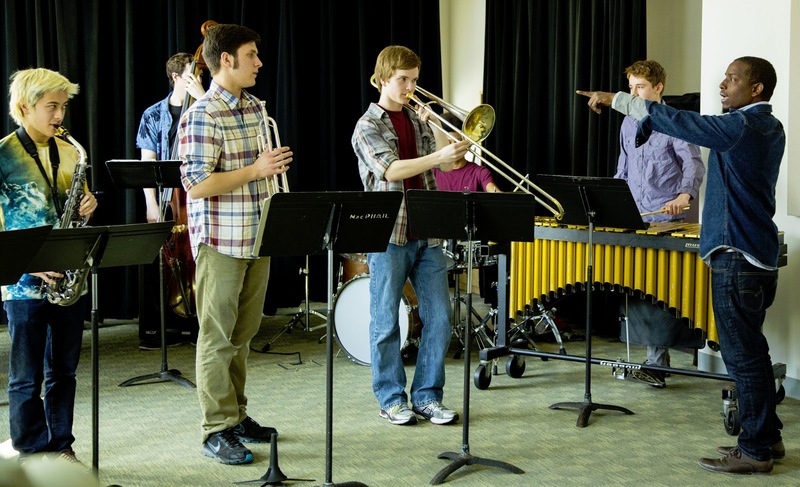 Thanks to the efforts Alden Drew, support from Jazz Central, and funding from McNally Smith, MacPhail Twin Cities Jazz Society and Dakota Foundation for Jazz Education, Mela spent a few days in the Twin Cities last week, bouncing from one clinic to another until he landed on Antonello Hall stage with three brand new collaborators for a performance finale Saturday night. Most of us were introduced to Mela when he performed with Joe Lovana’s Us Five at the 2010 Twin Cities Jazz Festival. And during those moments when eyes were not fixed on Esperanza Spalding, one had to notice Mela, one of two drummers with Us Five. Mela was the one who never stopped smiling. He came back to the Twin Cities a few more times, with Lovano’s Us Five at the Dakota and Hopkins Center for the Arts, with McCoy Tyner just a few months ago in Hopkins, and with his own Cuban Safari at the 2012 Jazz Fest. And ever that big smile. I also caught Mela at McNally Smith when he did a clinic prior to his band’s performance. It was a rather formal setting but he talked to his audience as if we were gathered around the congas in his living room. 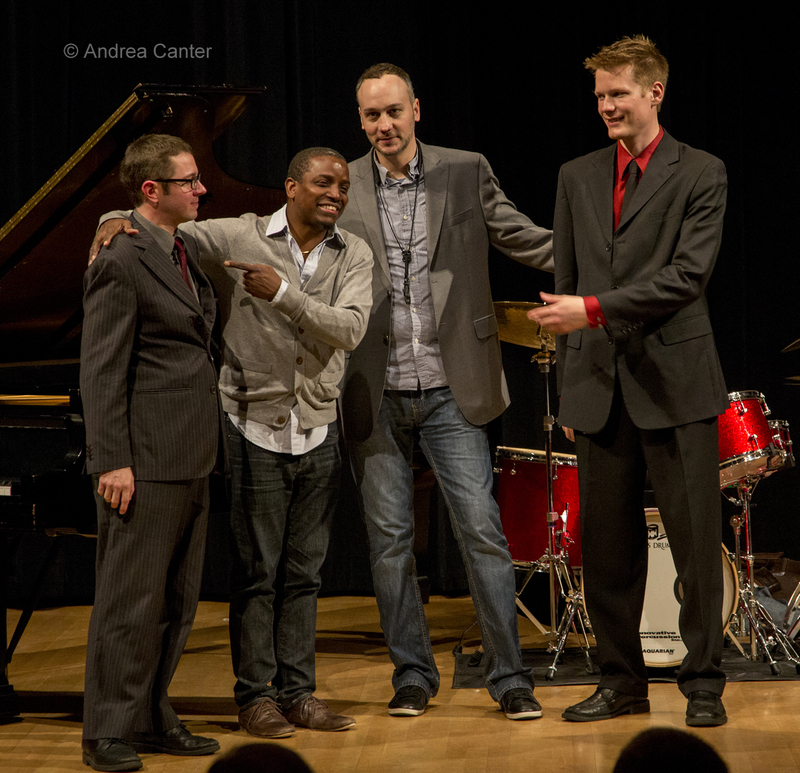 This past week, I sat in on his workshop at Jazz Central, where for the first time he met Tanner Taylor, Graydon Peterson and Brandon Wozniak, who would be his quartet partners for the evening and at MacPhail Saturday night. Their instant rapport was one of the week’s musical wonders. But most inspiring was his clinic with the student octet, the Dakota Combo, squeezed in between a McNally reception and the MacPhail concert. If Mela felt rushed or drained, you couldn’t tell. For two hours, he gave the ensemble as well as each individual student his undivided attention, his encouragement, and his warmly delivered criticism. He sat at the drumset, he offered some hands-on guidance, he stood and listened intently to each phrase, he praised and explained, he demonstrated, he applauded. After two hours, the Combo had a new ending to Macho Woman, a better grasp of swing feel, some tips on finding your own voice on your own tune. And mostly they had a dose of Mela joy. 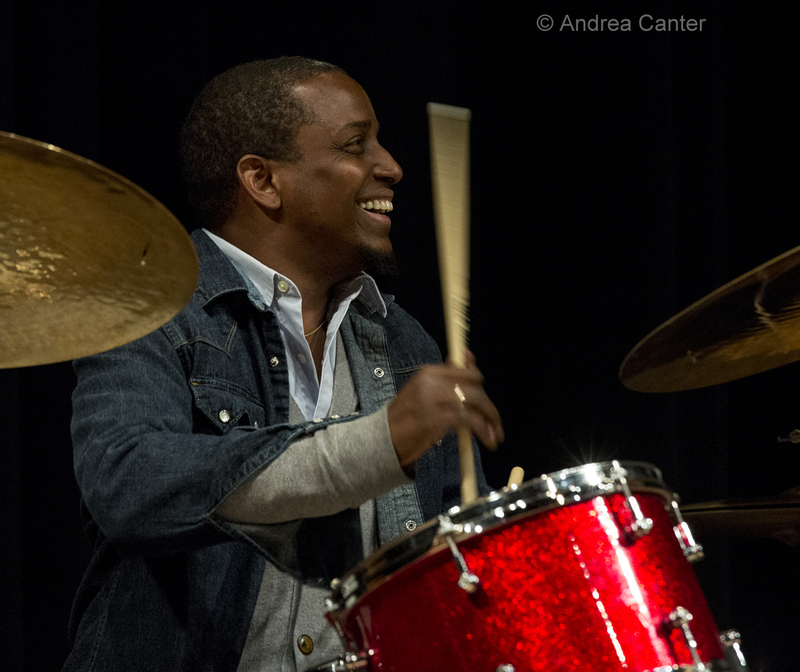 That joy spread throughout the band and the audience Saturday night when Francisco and his new collaborators sailed through a set as if they had been playing together for years. And it was easy to tell that each musician hoped this evening was just the beginning. Sometimes that joy of creating and collaborating comes through only in the music. Sometimes, maybe far less often, that joy comes through from every pore. And that glistening smile.